Silvia Martínez is from the small community of Mesas de Acicaya, Nicaragua. She began traveling to the nearby capital city of Managua for her studies when she was 11 years old, and recently completed her degree in Social Communications at the Central American University. 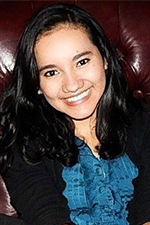 Silvia previously worked with Cáritas Nicaragua, and Movicáncer Foundation, where she specialized in communications, networking, and digital marking. She also has experience with public relations, audiovisual production, and social media. Silvia describes herself as an enthusiastic entrepreneur, and knows what it’s like to fight for her dreams. Her hobbies are reading, watching movies, listening to music, photography, and spending time with her family. She likes to develop and support different social projects, especially educational projects. In collaboration with her sister, she developed a volunteer rural education project called “Path to Knowledge,” directed at youth. Silvia is committed to supporting her country by using her professional skills, because she wants to give back some of what she has received. 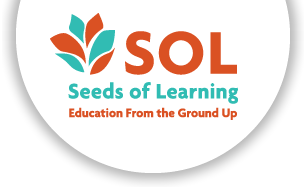 For this reason she is excited to work with SOL, and is looking forward to meeting and forming relationships with the children, youth, teachers, parents, and staff of SOL.